The Tippmann98 Custom is a semi-automatic marker designed to offer you long ranges, powerful shots and convenience during use. It is one of the premium markers on the marker. It features a classic look and packs a rugged design, allowing it to perform exceptionally in adverse conditions. Again, it comes from Tippmann, a company that has been producing paintball guns for a long time. 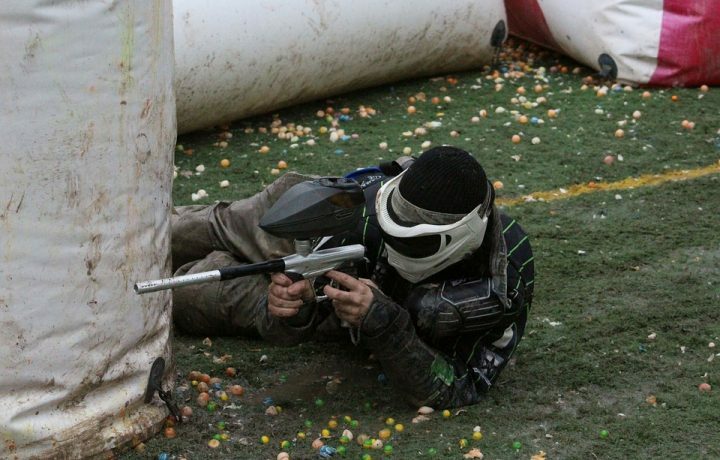 It is created with anti-chop technology, ensuring that it lasts for a long time because players love a paintball that does not break. This Tippmann 98 Custom review will go over the most important details. In this part of our Tippmann 98 Custom review, we will offer some general information about the Tippmann 98. The Tippmann 98 Custom is offered as a complete set with a maintenance pack to kickstart your paintball shooting excursions. It features a medium 8-5-inch quick-thread anodized barrel. It is a semi-automatic gun that packs enough power to shoot over a long distance. The unit features a .68 caliber receiver that sports an open bold blowback, offering you easy loads. For durability, the gun is offered with an aluminum die-cast receiver that has been fitted with a quick-release feeder elbow so that you can load your gun with ease. The removable front grips on the receiver makes it easy for you to add an expansion chamber and vertical tanks. You can customize every aspect of this gun to up its performance. Out of the box, the gun features a minimalist design, making it easy to use for beginners and those who have not used a paintaball gun before. However, it will still take a few days of training. The gun is only 26 inches long when set, which makes it compact. It weighs 6.5 pounds, allowing you to use for a long period without feeling fatigued. The low price of this paintball gun makes it even better as a beginner paintball gun. And since there are so many Tippmann 98 Custom upgrades you can take advantage of, it’s also arguably one of the best paintball guns in general. You might not feel the weight of the gun after using it for a few hours; it is created compact. The Tippmann 98 custom is lightweight. It is offered with inline bolt system that reduces waste when you are firing. This makes it feel swift and efficient. 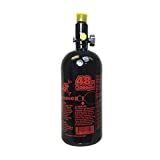 The unit is compatible with CO2, nitrogen or compressed air. Adding Tippmann 98 custom upgrades may increase the weight of marker and change the feel of the shot but not to a degree that it becomes an issue. 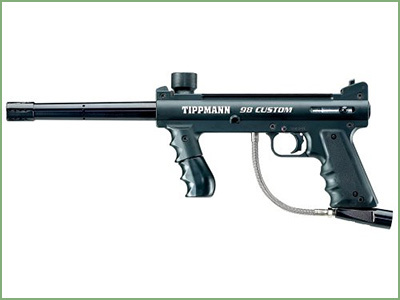 The Tippmann 98 Custom uses 800 psi pressure, allowing you to shoot 150 feet or more. It is offered with an ergonomic and right-size trigger, allowing you to get clean shots. Its shooting quality can be compared to other high-end guns on the market. You are offered ASA blade sights to ensure that you get the target right. The sights are adjustable, letting you choose the distance you need. Better still, the marker rattles up to 8 balls a second, a speed that is great for many paintball players. However, the barrel of the gun is only 8-inches, which is on the short. With inline bolt system, the marker uses a lower amount of CO2, allowing you to shoot for a lengthier period. You can feel the power of each shot from the barrel. The great pressure use not only gives the gun a longer range, but also adds noise to the shots; the gun is, therefore, relatively loud. However, it is not distractingly loud. Again, it has a comparatively high recoil. While you may not feel the recoil after the first few shots, consequent shots will be affected. When shooting from a long range, the paint will get to the other players without you having to worry of their paint getting to you. 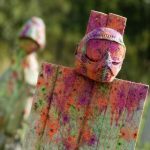 If you have used a paintball gun before, you will not need any training. However, a beginner will need to learn how to set up the different elements of the gun, how to use the iron sights to track targets, and how to shoot straight. This can take a few days to a few weeks. In this section of the Tippmann 98 Custom review, we offer a few maintenance tips. It is advisable to read the Tippmann 98 Custom user manual thoroughly before attempting to ugrade and clean the Tippmann 98. Before you start any maintenance work, remove the Co2 cylinder. It is advisable not to use any cleaning solvents. Taking care of the Tippmann 98 Custom is simple. Use a wet towel to get rid of oil, paint and debris. When lubricating the gun, it is advisable that you use premium gun oil to keep the parts functioning properly. The manufacturer recommends Hoppes #9 gun oil. Add a few drops of oil to the front bolt, the linkage arm, the tank 0-ring and the rear bolt. Use white grease on the Co2 tank o-ring and the barrel o-ring. This keeps the parts functioning optimally. The rear bolt and the gun linkage arms can rust and, therefore, the gun should be kept in a dry place. These two parts should also be oiled before use. For further details on Tippmann 98 maintenance, consult the Tippmann 98 user manual which you can download from the Tippmann website. One of the highlights of the Tippmann 98 Custom is the ability to accept a wide range of accessories. The marker had its inner and outer diameters altered to ensure that it is compatible with different barrels. The new Tippmann 98 Custom is compatible with older markers. Among the Tippmann 98 custom upgrades you can purchase are electronic grips, response triggers, cyclone feed systems, drop forwards, custom stocks, expansion chambers and conversion kits. You can also purchase Tippmann 98 custom upgrades like scopes, shrouds and even choose high end barrels like the nightstick barrel. Response trigger kits will be a great addition. These triggers utilize unused air in the breech to push a pneumatic piston to drive the trigger outwards. The Tippmann 98 Custom has a unique look; it sports a retro design. However, if you are concerned with performance and not aesthetics, this gun will deliver. Even with the relatively high recoil and the comparatively noisy shots, you can shoot over a long range and do that without feeling fatigued. It is lightweight and compact and this is a good thing because you might need to use your gun every day. This is a great gun generally and according to Tippmann 98 Customer user reviews, it is a great unit. It can be a good first gun or an addition to your collection. If you already own a Tippmann 98 Custom, feel free to add your experience to our Tippmann 98 Custom review in the comments! 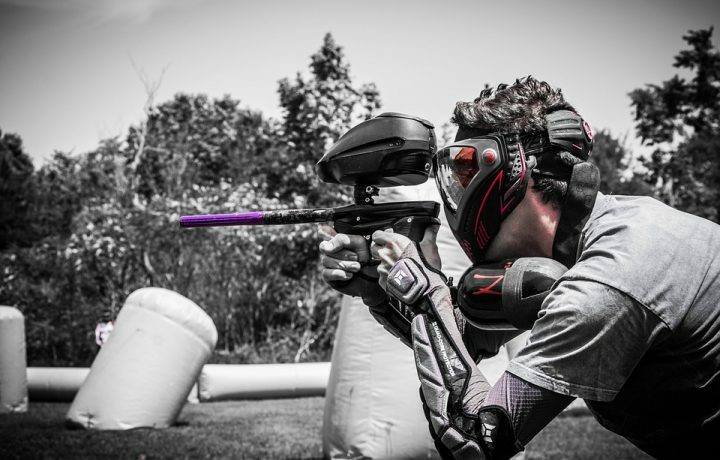 The Tippmann 98 Custom Is one of the best paintball guns out there when it comes to efficiency. Though my only issue with it is that it isn’t the best one to use when you are just starting out. You need experience. That’s interesting, we heard many beginners enjoy the feel of the Tippmann 98. Perhaps it all depends on how much of a beginner one actually is. The Tippmann 98 Custom paintball gun is not bad by any means but I don’t personally think it is one of the better-made guns around. It seems quite bulky as well to carry which is a big inconvenience as far as I am concerned. Thanks a bunch for your feedback. Which gun is your favorite? 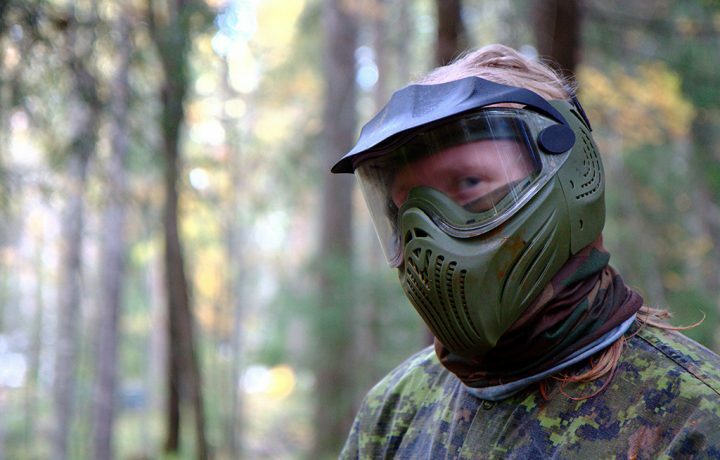 Are you kidding that the Tippmann 98 Custom paintball gun is not a fit for beginners? I am sorry but I will disagree with anyone who says that. This was the first one I used when I was starting out and it was so easy! Thanks for the feedback! We never said that Tippmann 98 is not a good fit for beginners. 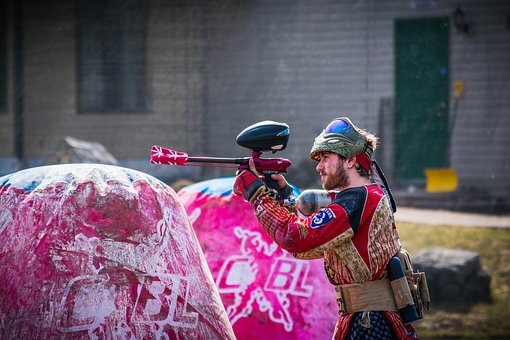 In fact, we actually mentioned that its design makes it easy to use for beginners and those who have not used a paintball gun before. We just mentioned that a novice will need some training in advance. The one thing that I really do like about the Tippmann 98 Custom is that it is so easy to maintain. I have had other paintball guns that were difficult to maintain properly. This one is a piece of cake. Thanks for the insight This is really helpful to know if you are a beginner! 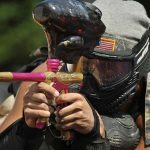 I am interested in getting into paintballing and I have heard others talk about the Tippmann 98. Some reviews seem to be raving and some have not been so positive. I really am not sure whether I will try this one out first or not. I am not sure why anyone would say anything negative about the Tippmann 98 paintball gun because it is not only relatively inexpensive but it is the best one for a complete noob to start out with. It is the simplest one to work with out there. Thanks a bunch for your feedback, we appreciate it a lot! Tippmann 98 is one of the cheaper paintball guns around. I have a hard time listening to people complain that it is not the best one around. Well, if you are expecting perfection then you will have to pay a lot more. Very true! The Tippmann 98 is perhaps the absolute best when comes to balancing out price and value. There is nothing more powerful around other than the Tippmann 98 Custom paintball gun. You can shoot long distances and the material is pretty durable that it is made from. It’s definitely a must-have when you are in the paintballing world. We also appreciate the fact that it’s highly customizable. Have you had any experience with upgrades? 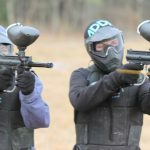 I was told that the Tippmann 98 paintball gun is ideal for beginners. I am learning about the game just by doing some reading up on it but I have not actually played yet. I am just in the exploring phase. Thanks for providing such a detailed review of the Tippmann 98 paintball gun. I have to say I don’t know a lot about it but have heard some positive things. I figured I would do some research on my own and this is how I found this review. 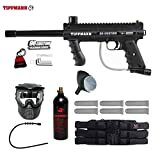 That you so much for providing this helpful Tippmann 98 Custom paintball review because it tells us what to expect with this paintball gun, and how to use it efficiently and what we can get from it. It sounds great. The Tippmann 98 Custom paintball gun is alright, I mean it does its job the way it has been described, and the range is good. However, I am not sure if I agree with the fact that it is easy to use for beginners. I would say both the Tippmann Cronus and the Tippmann98 Custom are good paintball guns. The Cronus is better for beginners and the Tippmann98 Custom is better for those who are more experienced with paintballing in my opinion.